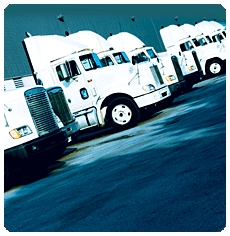 The FreightDATA Driver Payables system is a self- contained payables system that is interfaced to the Accounts Payable System to maintain check writing control. Incorrect Driver Payables payment cash leaks are eliminated. Deductions can be withheld automatically on a weekly or one time only basis. Create a carrier file that contains name, address, and interface data to A/P & A/R files. The required information accumulates for the year and quarter and produces government reports. Driver Payables can be automatically posted from dispatch and freight billing or entered directly if your company requires outside carriers to bill you or all of the above methods may be used interchangeably. Driver Payables Payments are integrated to the G/L and, optionally, the A/P system for generation of checks. Are payment to outside carriers are logged to the G/L history file. The information is displayed when ask inquire is made to any posted load.